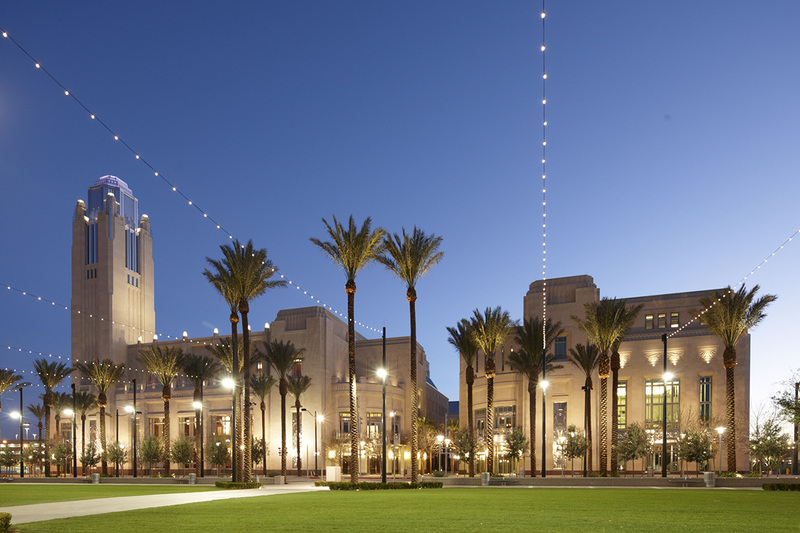 Situated on a five-acre cultural campus in the heart of downtown Las Vegas, The Smith Center for the Performing Arts delivers the best and brightest performances to both the residents and visitors in Las Vegas. 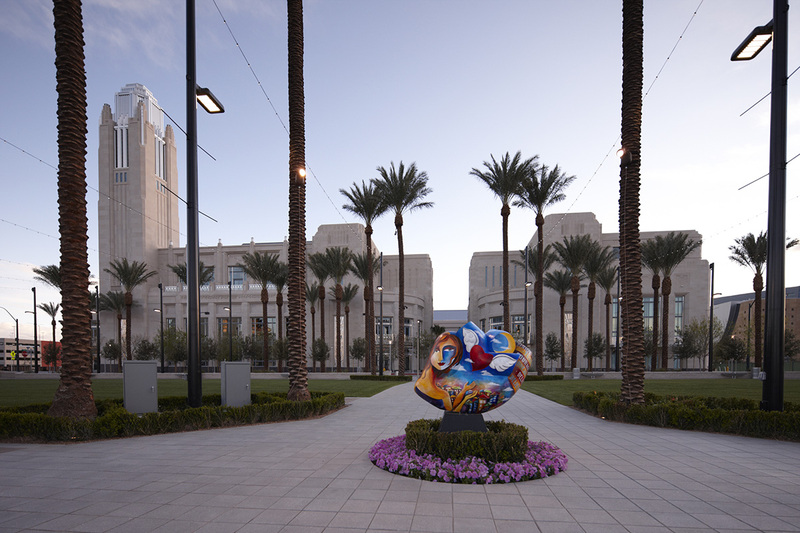 Its central garden courtyard, with decorative paving, canopying Ash Trees, and vine-covered trellis allows additional space for special gatherings, displays and intimate functions. 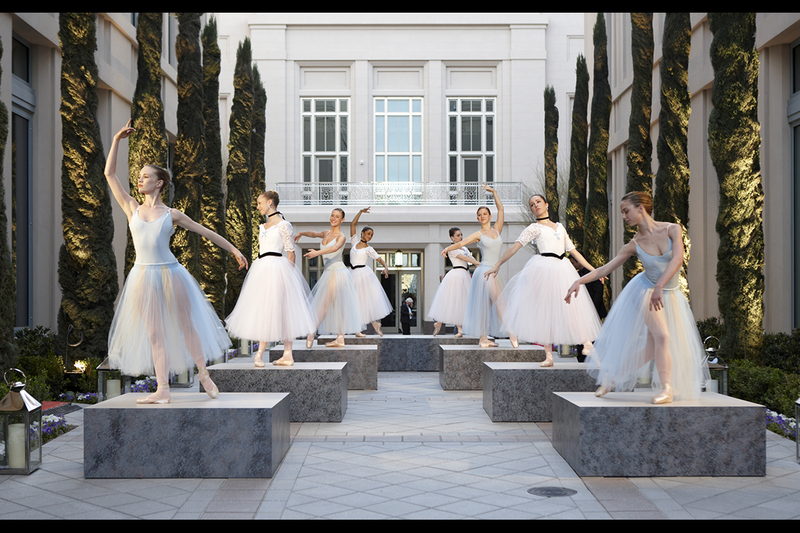 It also is the home of the new Discovery Children’s Museum and the Nevada Ballet Company. 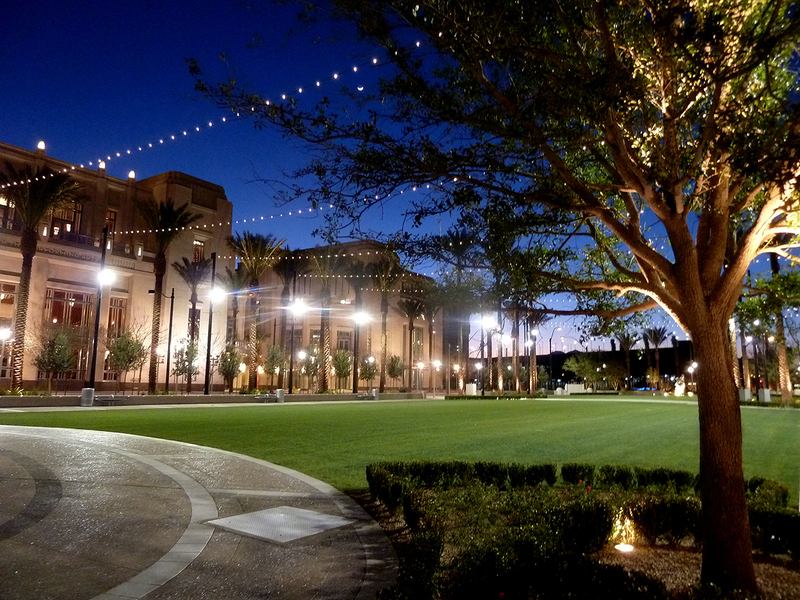 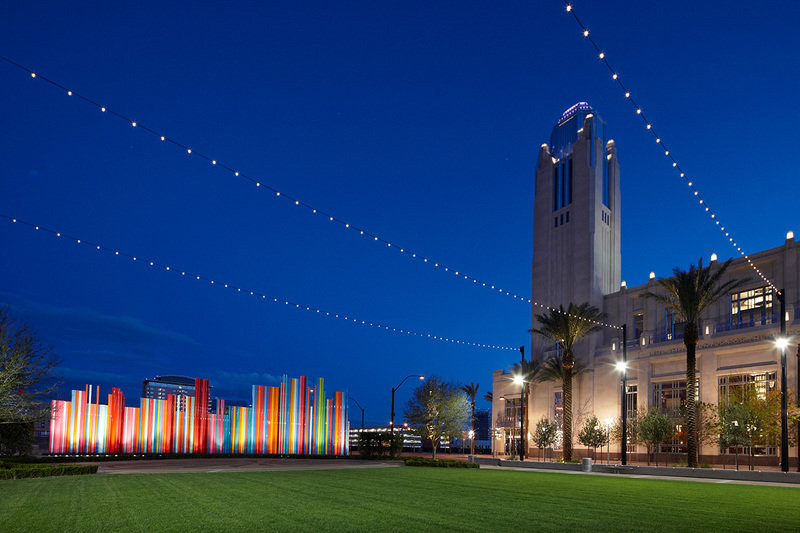 The nearby Symphony Park features a large, multi-functional gathering space for events, festivals and concerts; with overhead lighting and a colorful, sculptural art piece entitled Pipe Dream (Fanfare For The Common Man) by Tim Bavington, inspired by Aaron Copland.